Item # 313032 Stash Points: 12,995 (?) This is the number of points you get in The Zumiez Stash for purchasing this item. Stash points are redeemable for exclusive rewards only available to Zumiez Stash members. To redeem your points check out the rewards catalog on thestash.zumiez.com. 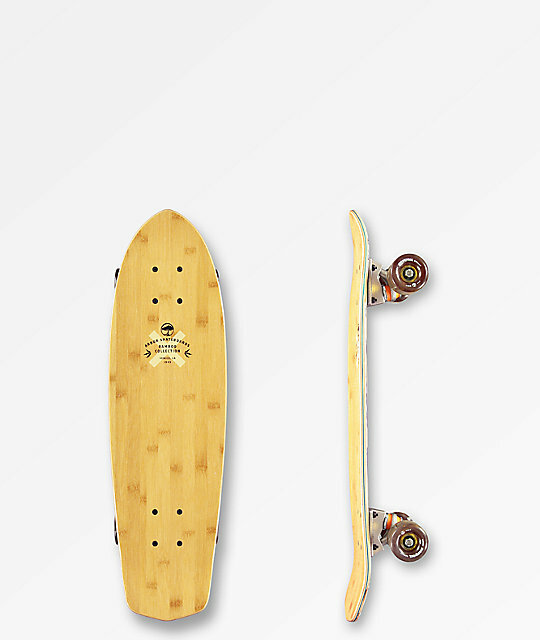 Compact and easy to bring with you on all your adventures, the Arbor Bamboo Pocket Rocket 27" Cruiser Complete Skateboard is an ideal little ripper. Complete with soft 61mm, 78a wheels, this board provides a smooth ride while still maintaining excellent acceleration. Paris brand trucks offer unmatched stability, even at higher speeds, while the abec 5 bearings will save your legs and keep you cruising more and pushing less. Finished with a large kick tail and slightly upturned nose, this complete can still make quick work of smaller street and vert features with ease. 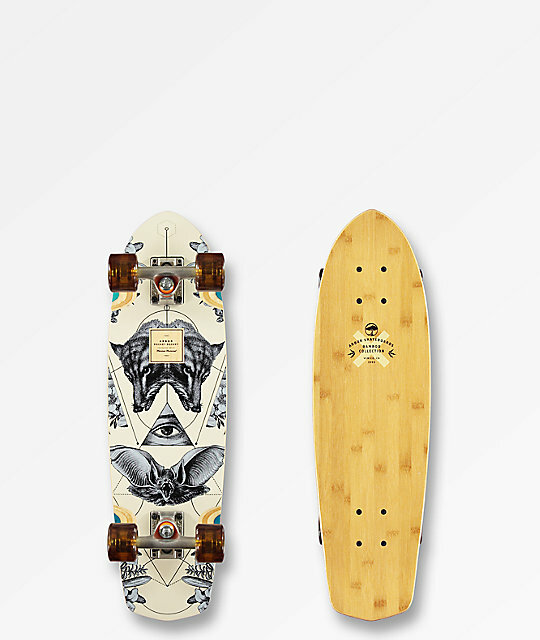 Bamboo Pocket Rocket 27" Cruiser Complete Skateboard by Arbor. Mellow concave, milled wheel wells. 129mm Paris Trucks with 1/4" plastic riser pads.